What is Laser Eye Surgery/ Laser Vision Correction? Reduce or eliminate refractive errors including nearsightedness, farsightedness and astigmatism, so you can rely less on glasses and contact lenses. The goal of laser eye surgery or laser vision correction surgery, as it is also known, is to reduce or eliminate refractive errors including nearsightedness, farsightedness and astigmatism, so you can rely less on glasses and contact lenses. There are a number of types of laser eye surgery techniques to choose from. Your eye surgeon will carefully evaluate your eye health, history and refractive error, as well as your age, lifestyle and career considerations to help you decide which laser eye surgery type is best for you. ReLEx SMILE® is the new laser technique for the gentle correction of vision defects. Unlike conventional LASIK, this procedure creates no flap and involves the use of only one laser (the femtosecond laser). 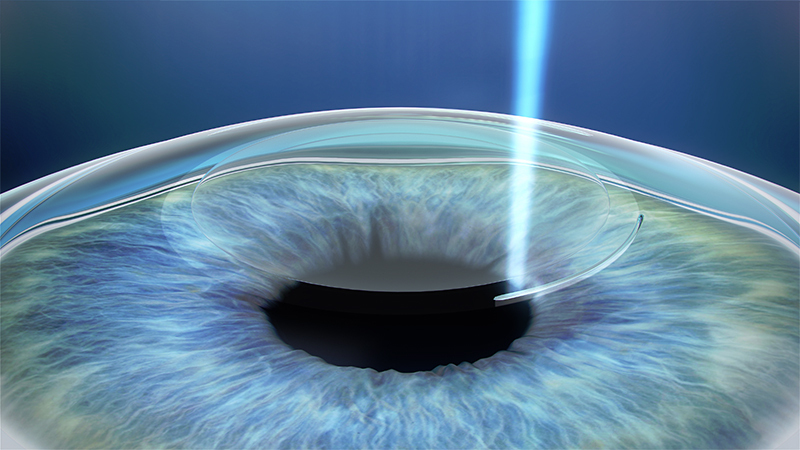 Instead of vaporising cornea tissue to correct the underlying short-sightedness and astigmatism, ReLEx SMILE® removes a small piece of corneal tissue called a lenticule through a small keyhole incision of less than 4 mm. This opening is up to 80% smaller than those of the earlier LASIK treatment. No flap means a smaller risk of infections and quicker healing, and because no switch of equipment is needed during the treatment, the overall time of the treatment is shorter. **ReLEx® and SMILE® are registered trademarks of Carl Zeiss Meditec. Traditionally, doctors have used an instrument called a microkeratome for the creation of corneal flaps. Microkeratome is a hand-held blade that moves across the eye, cutting the corneal flap as it goes. While LASIK is extremely safe, if complications do occur the microkeratome is most often the cause. 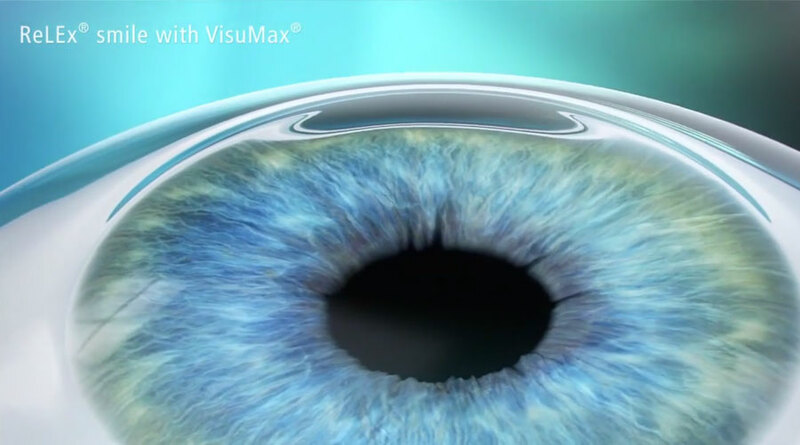 Bladeless LASIK is performed at Laser Vision Clinic Central Coast (LVCCC) using a femtosecond VisuMax laser. It enables your eye surgeon to create a corneal flap without a blade ever touching the eye. 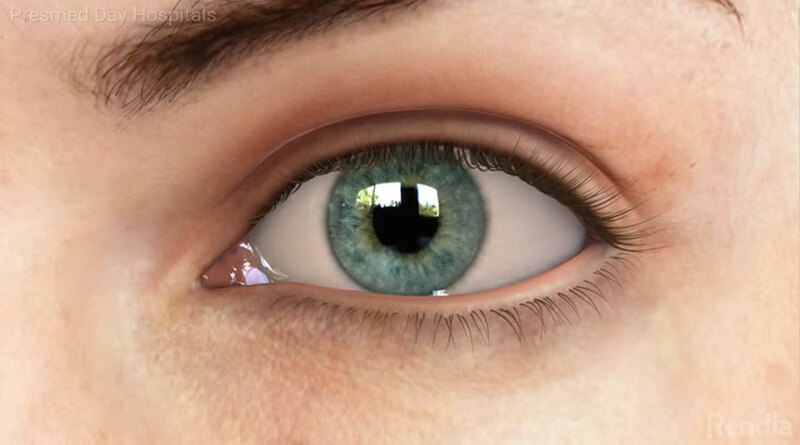 Wavefront-guided LASIK, sometimes called custom LASIK, creates a personalised map of existing higher order aberrations to correct refractive error and the more subtle vision problems. In some cases, existing higher order aberrations are severe enough to require this special treatment. Higher order aberrations may include subtle blurring, less clear visual contrast and even mild glare, halos or starbursts around lights at night. ASLA procedures are very effective for treating low to moderate amounts of short-sightedness and astigmatism. It is a straightforward and surgically less complicated procedure where the protective layer of the cornea is gently removed. The laser is then applied to reshape the corneal surface to the desired requirements. Following the cool laser treatment a contact lens is placed over the eye to protect it during the first few days of healing. Although the procedure is painless it is quite normal to feel some mild to moderate discomfort for one or two days following treatment. The effects of ASLA are not instantaneous as there is an ongoing healing process with the cornea. Although the patient is able to see, vision will not immediately be clear and may take up to two weeks to recover. For this reason it is recommended that two weeks be left between treatment of each eye. For more information on Laser eye surgery, click here. For more information on LASIK, click here.